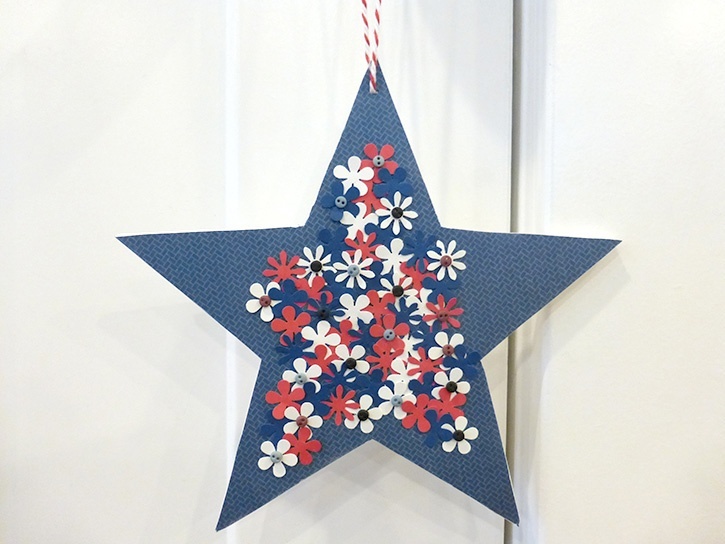 This cute little star packs a big patriotic punch with traditional red, white and blue flowers and it will look cute hanging anywhere! 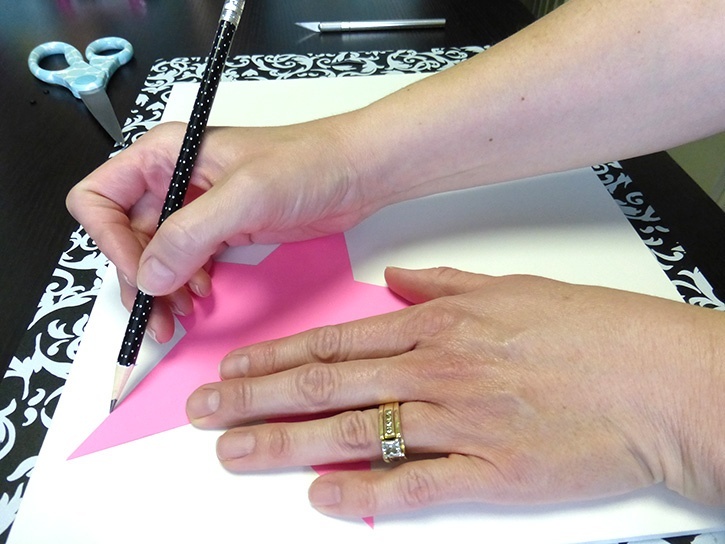 Place the 7” Star template on the foam core piece and trace it lightly with pencil. 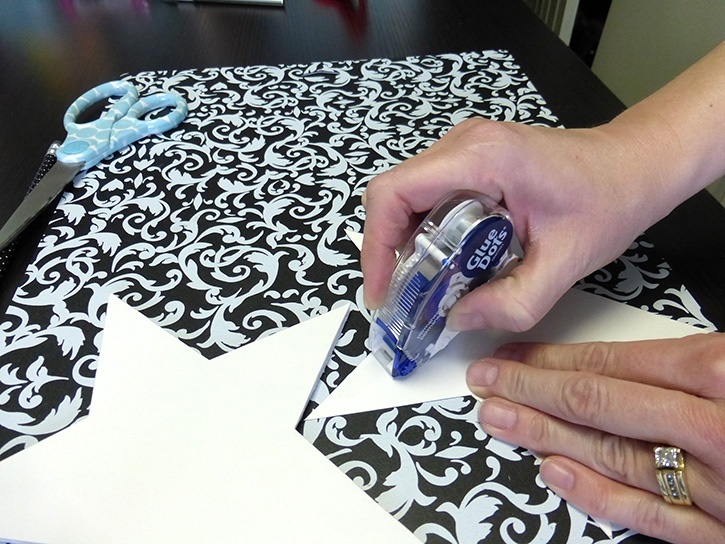 After you’ve traced it, use the Xacto to cut out your star. 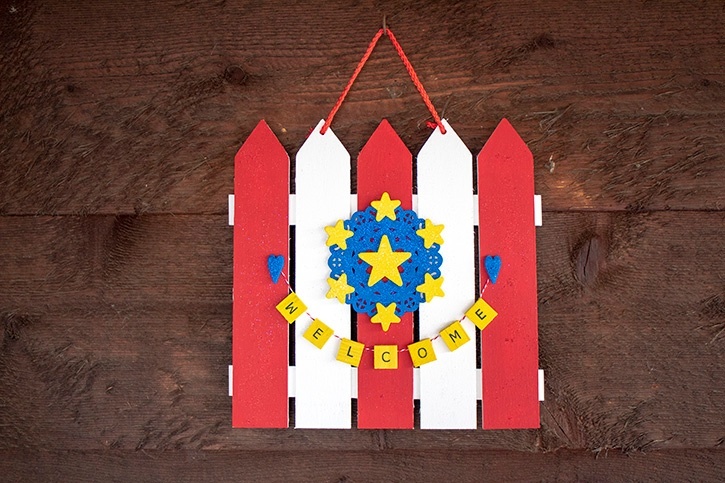 You can skip this and just cut the star out holding the template in place if you’d like (or you could use some removable Glue Dots to hold it in place). This will take a few passes with the blade so take some time to make sure the edges are smooth. Make sure to work on your cutting mat! 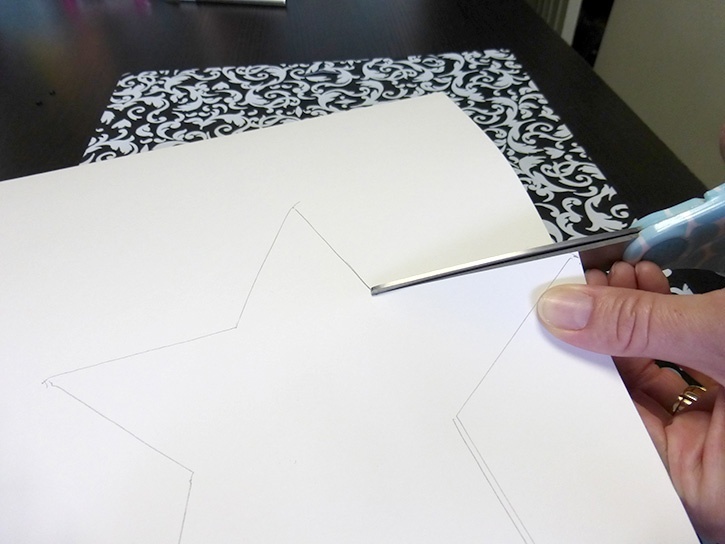 Once your foam core star is cut, decide which paper you want to use. Then punch out a passel of flowers with your punches to fill up the middle section of the star. 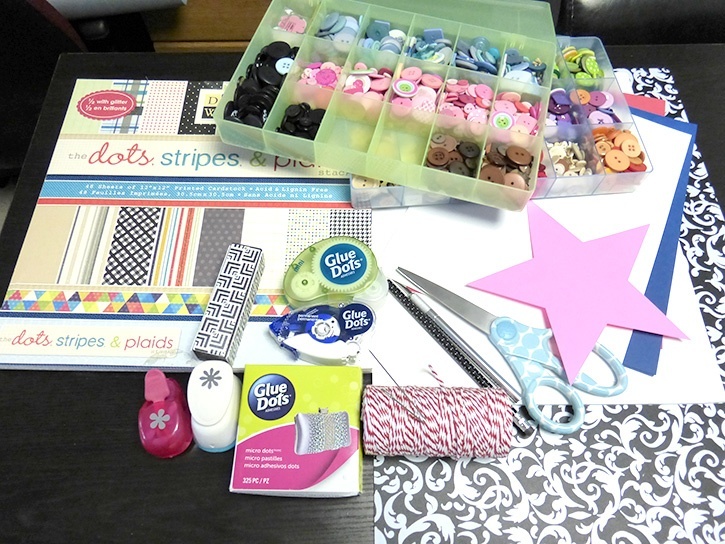 Set these aside while you trace your foam star on the back of the patterned cardstock. Cut this out with scissors. 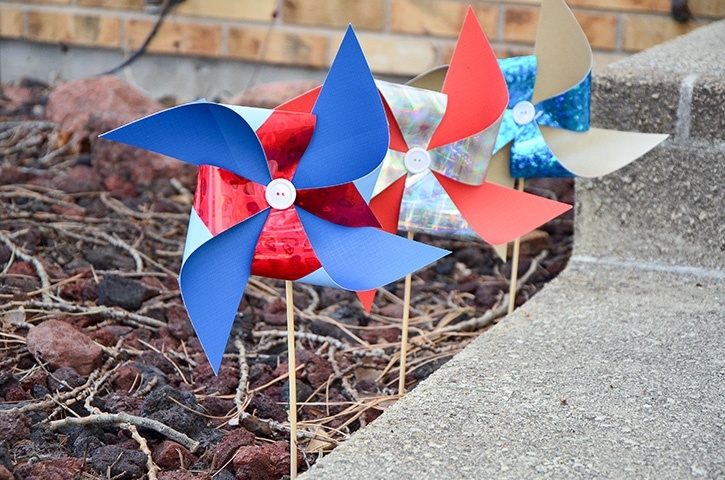 With Permanent GlueTape, add lines all over the back of the cardstock star. Stick it to the foam star and press down the edges and middle. If there is any hangover on the edges of the cardstock, sand them down with your sandpaper. 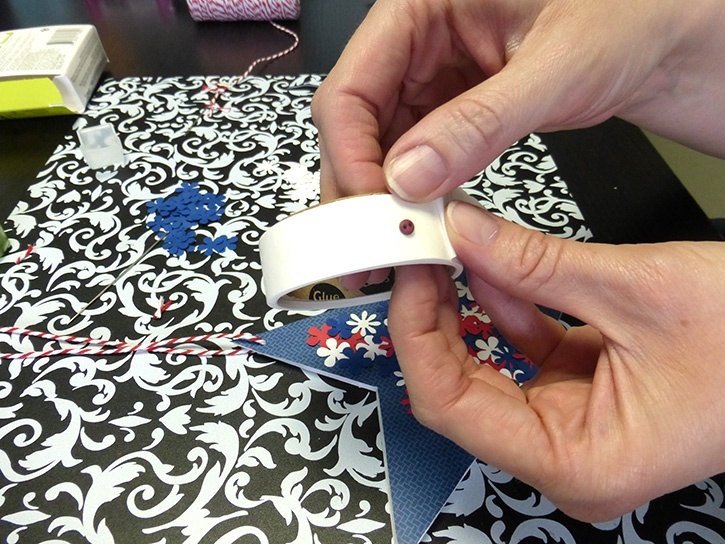 Start using Mini Dots to add the punched flowers all over the front of your design. Overlap them and place them all over. For my sample project, I used about 60 flowers. With the Micro Dots, add some tiny buttons in varying places on a few flowers. The sample has 18 buttons on the entire area. With the bigger of the sewing needles, poke a hole about .25" down from the top point of your star. Load the smaller needle with twine and stick it through the hole you just made. 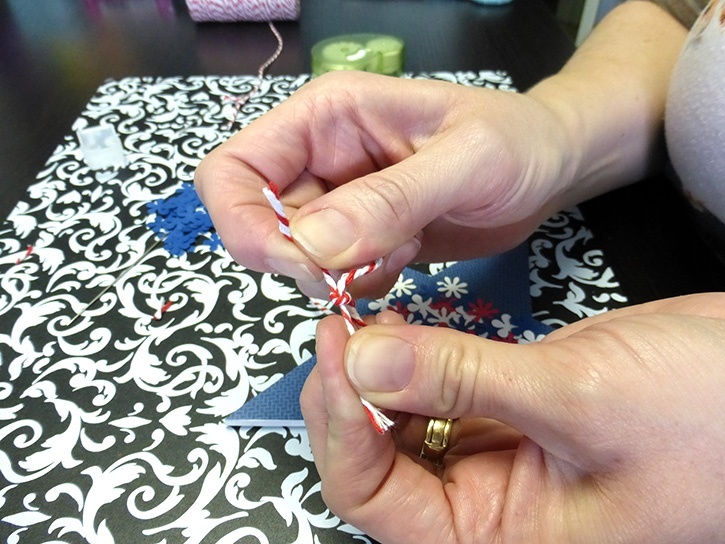 Tie the twine off in a loop and cut off any excess. This little star comes together quickly and looks super cute too! Take your time cutting the foam and the edges will look perfect! 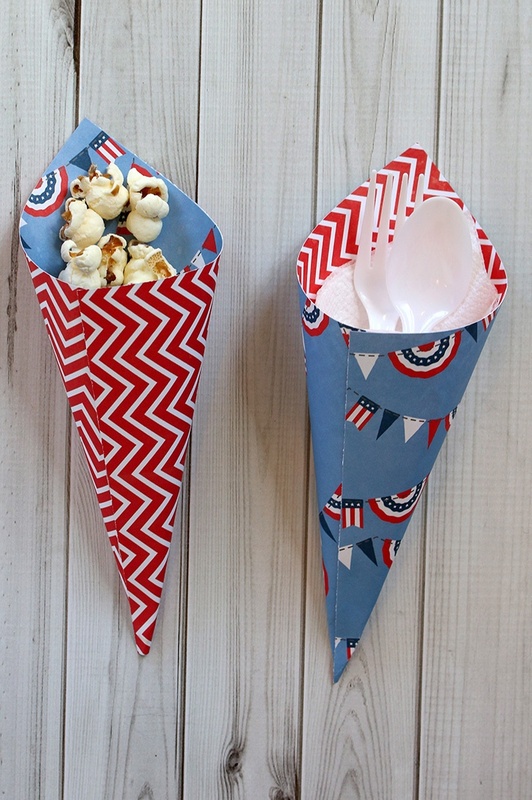 Have fun with this, and just think of all the shapes you can make with foam core and Glue Dots! I began crafting in 1996 and simply fell in love with making my own cards. Long live snail mail! Crafting isn’t just a hobby for me, but a way of life… Teacher gifts, posters, scrapbooks, wood crafts? Yes, please! I have been married to my cute husband for 16 years and he definitely inspires me to try new things and enjoying the little things. As a stay home Mom, my time is spent raising my two girls, and raising the bar for my gift giving!